Russell came to Costa Rica to write a book. Soon after he met Alejandra and her son Xander. As they say, things were just meant to be and sometimes what you least expect comes into your life. This marriage of two cultures brought a family, home, business and journey to a new future. 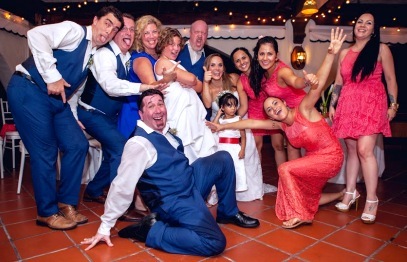 The backdrop for this wedding was the Parador Hotel in Manuel Antonio. 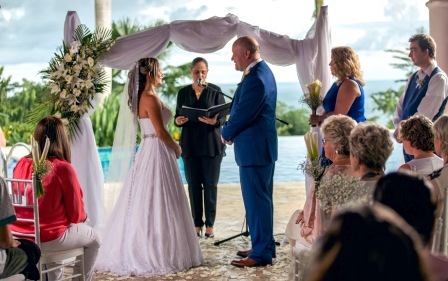 The ceremony was in front of the infinity pool overlooking the ocean. 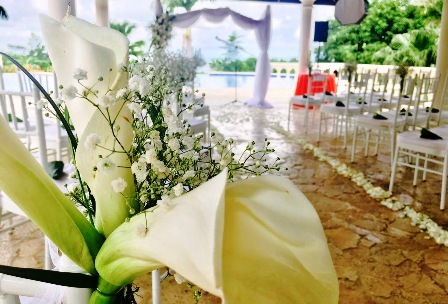 The decor featured white calla lilies and touches of coral. 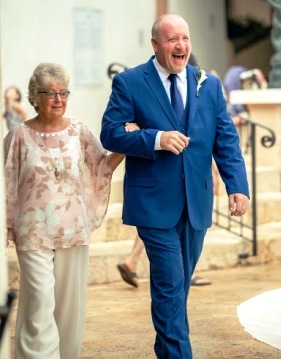 Alejandra walked down the aisle with her mother and son Xander. Russell was arm in arm with his mom. The ceremony was in English and Spanish. 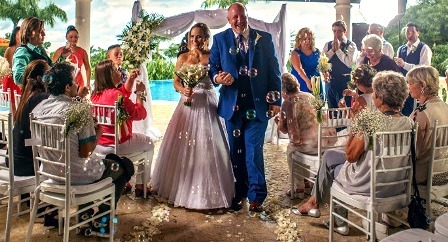 We were lucky to have a sunny day in July with a drizzle at the end of the ceremony. Afterwards the couple went to the beach to take some photos. The sunset was typical of Manuel Antonio after a rain. When I first saw the photos I was amazed that they weren’t “touched up” but reflected the true sunset. 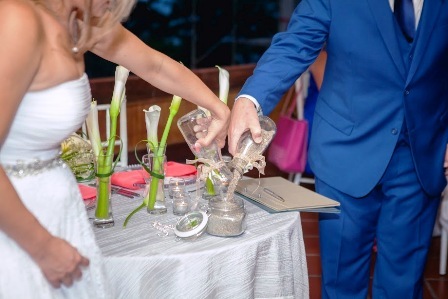 The special elements of this wedding were the sand ceremony and wishing rocks. 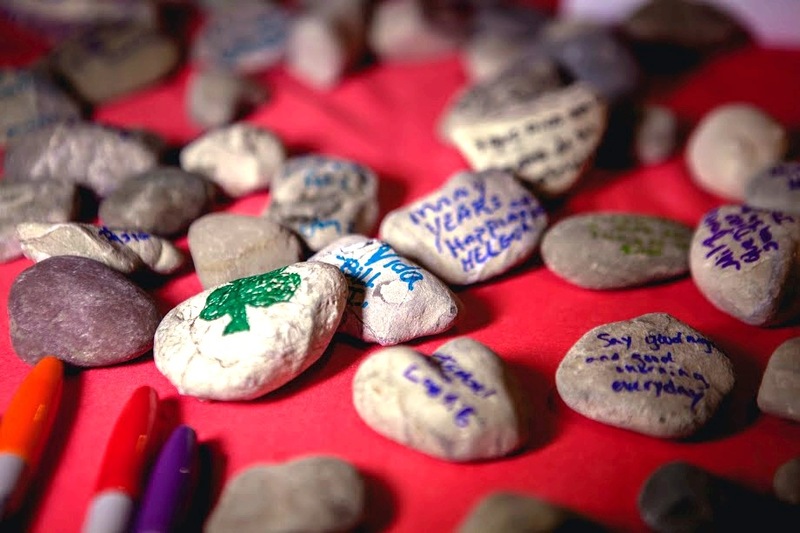 Guests penned their wishes for a happy future for the couple. The rocks can be found in their home. The cake incorporated the calla lily decor. Everyone had a great time dancing. 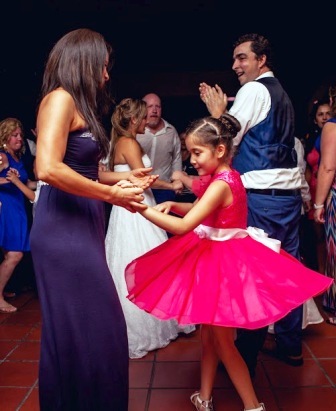 The blend of Russell’s family and friends from California along with Alejandra’s large Tico family created the perfect group for a party. 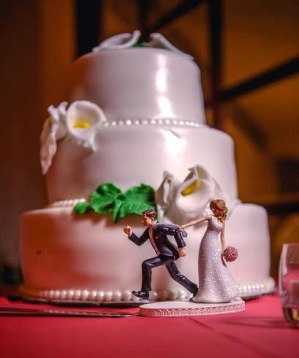 After the wedding the couple went to Europe for their honeymoon. 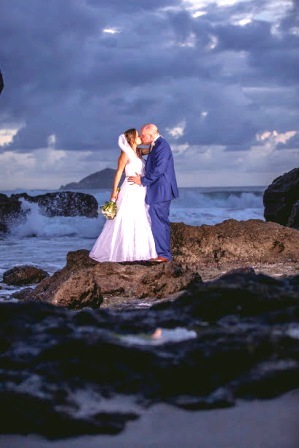 I couldn’t resist another shot of the newlyweds at Manuel Antonio Beach. Thanks to Fabian Castellon for capturing the day in photos . 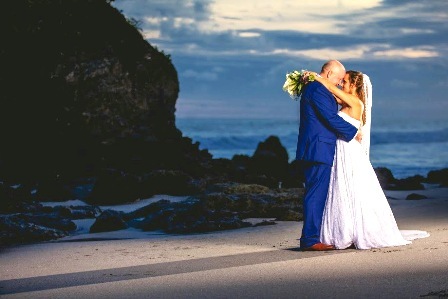 This entry was posted in Beach Wedding, Manuel Antonio Beach Wedding, outdoor beach wedding, Parador Hotel, Wedding Cakes, Wedding Flowers, Wedding in Costa Rica, Wedding Locations, Wedding Reception, wishing stones and tagged beach wedding, Manuel Antonio Wedding by Randy Gritz. Bookmark the permalink.